The BBC Proms is a British institution with a massive global following. But how do you reach a new, younger audience with classical music whilst retaining the brand’s values? Cavalier was commissioned by the BBC to create a one-off film that would help the BBC Proms launch into 2019. 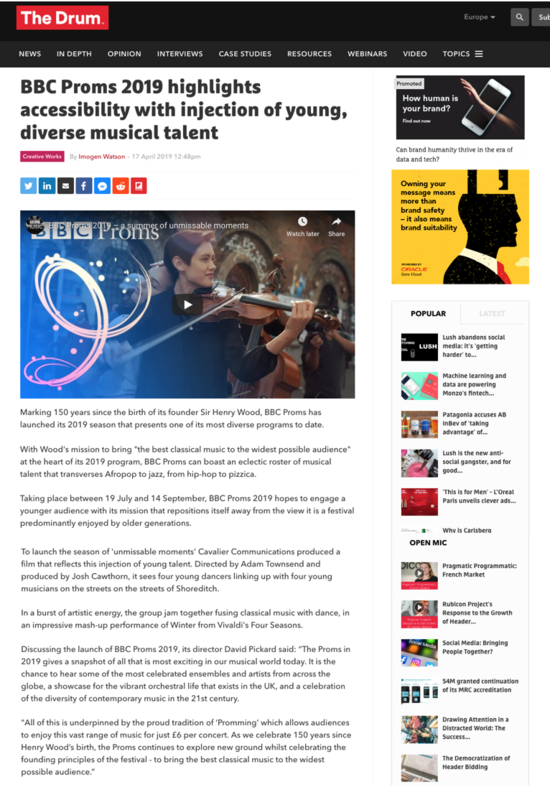 The brief was to create a short piece of content that would notify and excite existing audiences to the Proms launch, whilst also attracting a new, younger audience with the Proms message of Unmissable Moments. 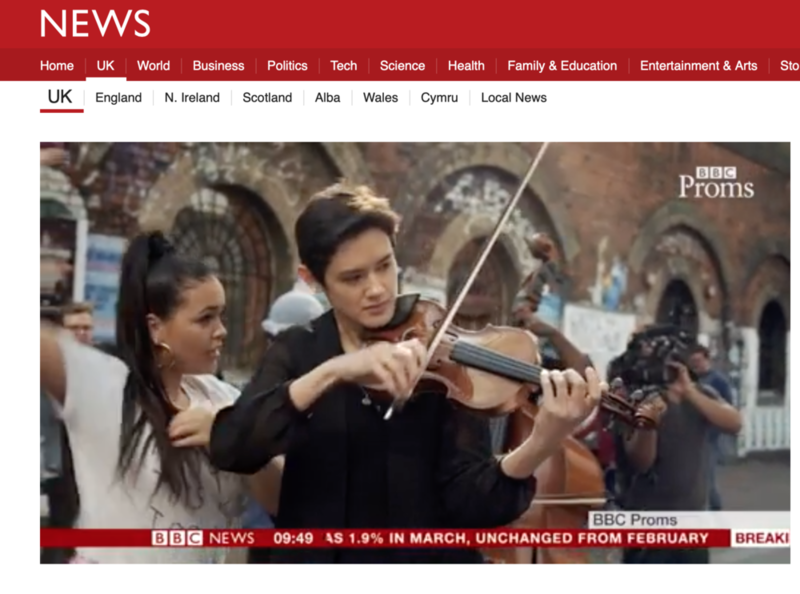 Cavalier recruited street dancers from across London, and matched them with 4 young classical musicians on the streets of Shoreditch, for an ad-lib performance of Winter from Vivaldi’s Four Seasons. The scene attracted huge crowds and the final video captured the energy and skill of both the dancers and musicians.